The convenience store is already selling CBD products. The 7-Eleven convenience store chain denies ever entering into a distribution contract to sell Phoenix Tears CBD products in various locations across the United States. “We have made no agreement or partnership with this company and do not know why they said that,” Stephanie Shaw, director of communications at 7-Eleven said in a statement. Cannabis Now did get to the bottom of it. Glen Goldberg, a spokesperson with Parallel, told us this morning that the confusion over the CBD deal is due to the misrepresentation of a minor detail — which two companies are actually on the contract. Come to find out, the Phoenix Tears press release did, in fact, make this all-important piece of information perfectly clear. “The agreement to place Phoenix Tears products in 7-Eleven stores was made with MarketHub Retail Services, a distributor that works with 7-Eleven franchisees,” the release states. It was the word “partnership” in the Huffington Post story that Goldberg says ruffled the feathers of 7-Eleven executives. 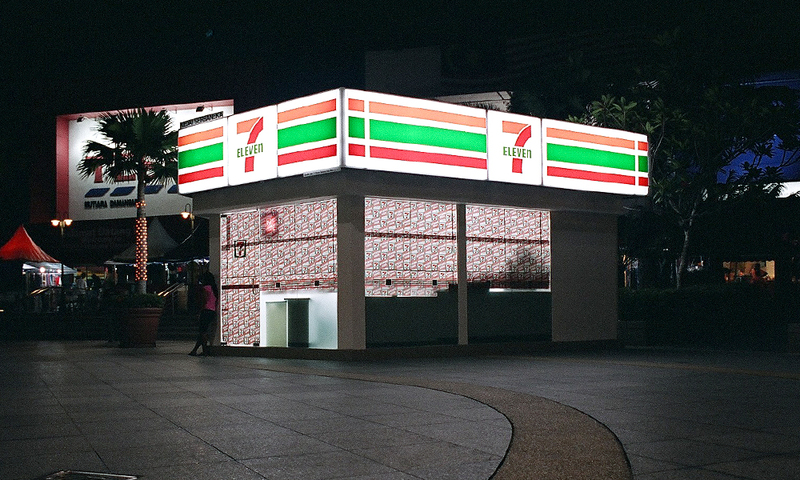 This is because there is no partnership between Phoenix Tears and 7-Eleven. The two companies do not have any sort of working relationship. But MarketHub is definitely putting Phoenix Tears CBD products on 7-Eleven shelves. “It’s already happening,” Goldberg said. So, in spite of all the confusion, the consumer will be able to purchase CBD products from 7-Eleven stores soon. Interestingly, major retailers like Walmart and Amazon are also marketing hemp-based CBD products. But neither company physically stocks these items, nor do they ship them directly to the customer. Both retailers serve only as a middleman, selling CBD through their online stores — nothing more. This is what makes the MarketHub/7-Eleven deal so special, Goldberg explained. “Online has always been the primary channel for CBD. This relationship with Market Hub is the first of several brick and mortar distribution outlets we will be working with,” he said. TELL US, have you ever tried CBD? So if I get this right, the summary is: who really knows? It sounds like until there is product on the shelf, there is no news here. While it would be great to see CBD widely accepted at stores across the country, I do think it’s just way too early for this type of thing to be happening. The laws are still murky at best on if CBD is legal. It would also do more harm than good if a sub-standard CBD product was pushed to 7-11 just on hype. It would only dilute the message that CBD actually is an effective substance for medical use.